We’re organizing a networking event in Kaliningrad on September 24th. At the event, you’ll have the opportunity to connect with other Toptalers from your town, share experiences, and have some fun while enjoying good company. 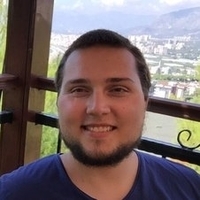 This is also a great opportunity to meet some core team members who are in town like Dmitry Pavlov, Toptal Technical Sourcer and developer. Join us at Reduit, starting from 6:00 PM, to have some fun, talk about technology, and freelancing with Toptal. Please RSVP to give us an accurate head count. For questions regarding this event, please contact the event organizer, Oleg Polivannyi.